Genius ERP: ready out-of-the-box for custom manufacturing. Like most businesses you probably rely on Excel to run your business — in fact Deloitte says that 70% of companies use Excel for sensitive and critical data and processes. It’s easy to see why as Excel is familiar and simple, most of your employees have a good working knowledge of it, and it is a powerful business tool that lets you store and manipulate data. But let’s face it, if you’re a busy manufacturing shop, Excel is not good enough. There are multiple issues with Excel, ranging from security and accuracy of your data, to human error, to efficiency that mean you need a better system for your important business data and information. An integrated solution like an ERP will give you better control over your data, and the important business processes and decisions that rely on it, making your shop run smoother and more efficiently. Let's take a look and see how Excel and ERPs stack up against one another. Let’s be honest, human error can creep into any system that is used by humans, but Excel is especially susceptible to human error. 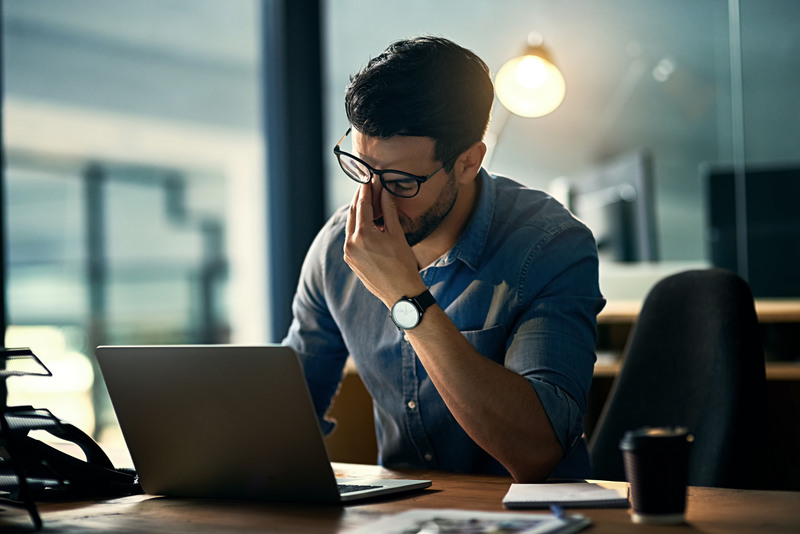 Multiple studies back this up: According to a report from the University of Hawaii, 88% of spreadsheets contain errors; Coopers and Lybrand found that 90% of all spreadsheets with 150 rows or more held errors; and in a sample of 22 spreadsheets, KPMG found errors in 91% of them. Similar studies aren’t available for ERP systems, but because Excel isn’t a single, integrated system like an ERP is, Excel is more vulnerable to human error. Excel is an extremely manual tool, and instead of being centralized and integrated like an ERP, multiple departments within your organization will rely on different sets of Excel spreadsheets that contain the same data. This means that the same data will be entered multiple times into multiple spreadsheets, meaning not only is that a huge waste of your staff’s time, but there is also a much greater chance for human error to creep in, as each time the data is manually entered, there is a chance for a data entry mistake. And once a set of spreadsheets get shared around, you lose all control over them. As there is no single source of truth for your data, like you’d have if you were using an ERP, you can neither be certain about what changes have been made to your data once a spreadsheet has been shared, or if everyone is relying on the right set of data. For example, your production department might be relying on an old set of spreadsheets, or on sheets riddled with inadvertent errors, which can cause excess waste and throw off your entire production line. Excel is also based on formulas and functions to manipulate data, which is another place where human error can creep in. Even if you have an “Excel Hero” in your office who knows the product backwards and forwards, if a function is mis-entered you’ll end up with bad data. And there is also always a risk that someone can break a function — which can grind business to a halt, especially if your Excel Hero happens to be out of the office and can’t immediately fix the problem! ERP systems on the other hand give you a single source of live data for your entire company to use, reducing the risk for human error. You don’t have to manually enter data multiple times, nor share spreadsheets around with multiple parties. Everyone in your organization can access and rely on the same data, so you can be confident that everyone in your organization is operating off of the the most current and most accurate data set. ERPs also come ready built with multiple automated reports and analytical tools, meaning that Excel functions are a thing of the past. ERP systems eliminate duplication of tasks through automation and integration, and make data manipulation easier and more reliable. This was touched on above, but Excel can be extremely inefficient for your organization as a major problem with Excel is that you need to repeatedly re-enter data. For example, if you’re writing all of your quotes in Excel, then you probably have to manually create sales orders from these quotes in a separate spreadsheet or system. Every report or quote or order has to be created sheet by sheet, and the only way your inventory can be managed is if someone goes in and manually updates your information every single time. Using a program like Excel also runs the risk of losing files by accidentally deleting them or the system crashing. Another problem with spreadsheets is that they’re isolated from the rest of your organisation, which makes it difficult to collaborate. Though there are mobile versions of Office and Excel available, and even cloud-based Excel spreadsheets at Microsoft OneDrive, these products have distinct disadvantages and do not always support collaboration. For instance, it is difficult to control spreadsheets when multiple workers try to access and alter the documents at the same time. Conversely, a cloud hosted ERP solution has built-in controls for managing multiple users, and is designed to support remote workers and in addition to the on-premises workforce. An ERP system allows you to track your information in real time without the need for multiple spreadsheets. For example, this allows you to automate your sales order creation process with an ERP can automatically convert quotes into sales orders. With an ERP you can also easily search and find the live data you need, and efficiently share that data between departments. Gone are the days of wasting time with double entry or lost data. ERPs also allow full visibility of all your business processes through real-time dashboards. In today’s world, most businesses acquire a huge amount of business-related data daily. 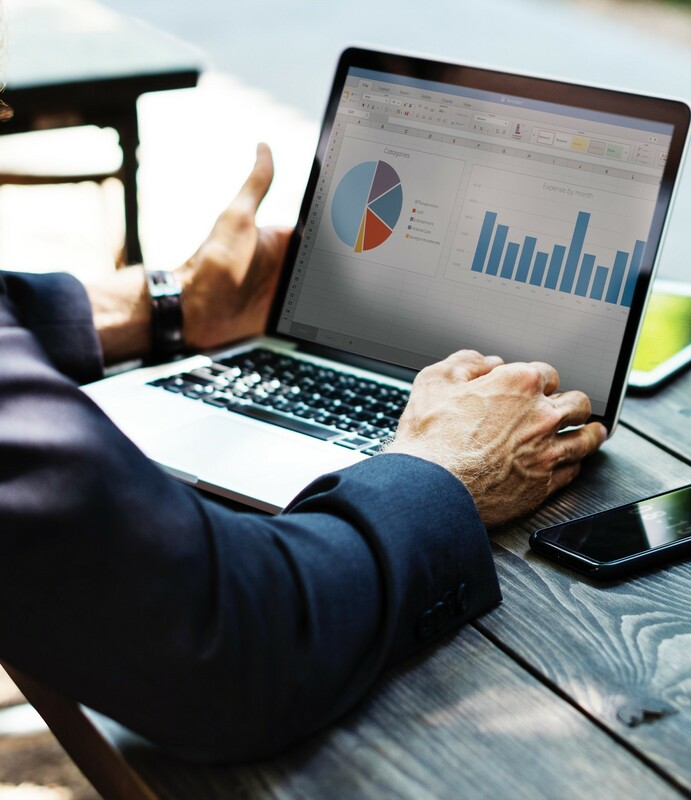 An ERP system can efficiently use this live data to provide critical insights into a company’s performance and improve both your decision-making capabilities and your business processes. Understanding your financials is important to keeping your company in the black. Unlike Excel, ERPs can give you a real-time integrated financial workflow that can automatically collect billing data from every area of the organisation. This means that you have a centralized system for all financial activities including month end, invoicing, supplier payments, and payroll. With ERPs you can have a real-time understanding of what your financials really are, and you’ll know what jobs are putting you in the black or red. The manual processes inherent to Excel just can't power this type of analysis, but ERP software can. ERPs can also analyse your employee performance compared to project costs and timelines. A comprehensive workflow system in your ERP can provide your team with the information they need at any time to ensure that whatever project they’re working on is on target. This information lets you know if the right people are working on the right project at the right time, and also lets you better allocate your resources and schedule your shop. No more costly downtime, thanks to ERPs — again something Excel can’t do as it just doesn’t have the power or functionality to do real-time analysis. ERPs are the clear winner and come out on top in terms of managing your live data — and the important business processes that rely on it. Though a good business tool, your shop clearly deserves better than Excel to keep you running at top capacity. If you’re small- to medium-size manufacturer looking to grow, 2018 is the year you need to embrace an ERP system. The NHTSA recently released statistics showing that globally there were 803 vehicle recalls over the last 10 years, involving 63.9 million vehicles. Unfortunately, recalls are becoming the norm rather than the exception.